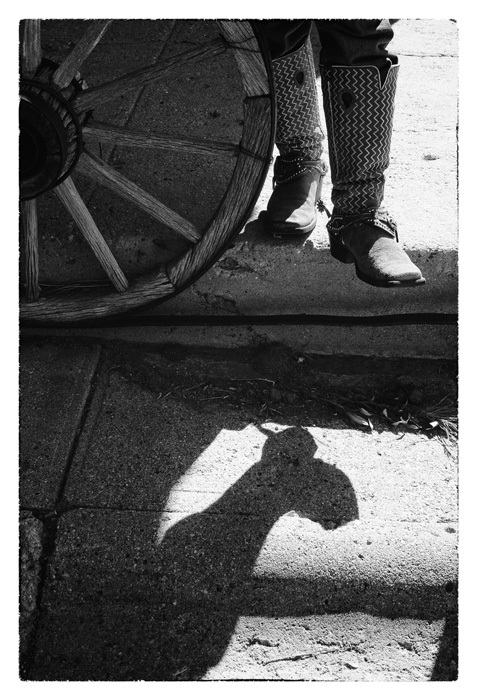 The second of two pieces in the PlainSky Nebraskans show featuring boots, I was captivated by this man’s boots, the wagon wheel, pipe and dry, dead grass in the shadows. For me, it is a image about life expressed in textures. In my previous Field & Studio tutorial, I showed how to use ICC color profiles with the Epson 3880 in order to achieve stunning color prints. However, I don’t recommend following that process for black and white prints, especially since Epson has built some very powerful tools into the 3880 for precisely this purpose. Click the link to learn more about fine art black-and-white printing on the Epson 3880. As evening drew to a close, Maddie Meidell, her sister Abby, and their cousin Angela were anxious to show their photos to my assistant Liz and me. 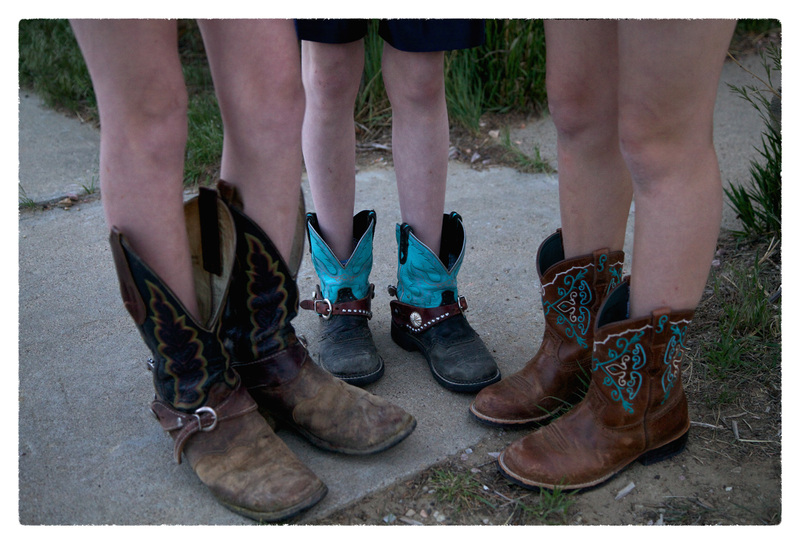 Rushing out from the house, I chuckled at the realization of how ranch life permeates the girls’ existences, for while city folk would put on flip-flops or sneakers, the three girls pulled on boots in spite of their shorts. As I looked closer, I became enthralled with how the brown boots moved to the brown-and-turquoise, then on to what became my chosen focal point in the image, Maddie’s full-on turquoise boots with spurs peeking out from the forest of legs in front. For me, this photo needs few words. So I’ll leave it at that. 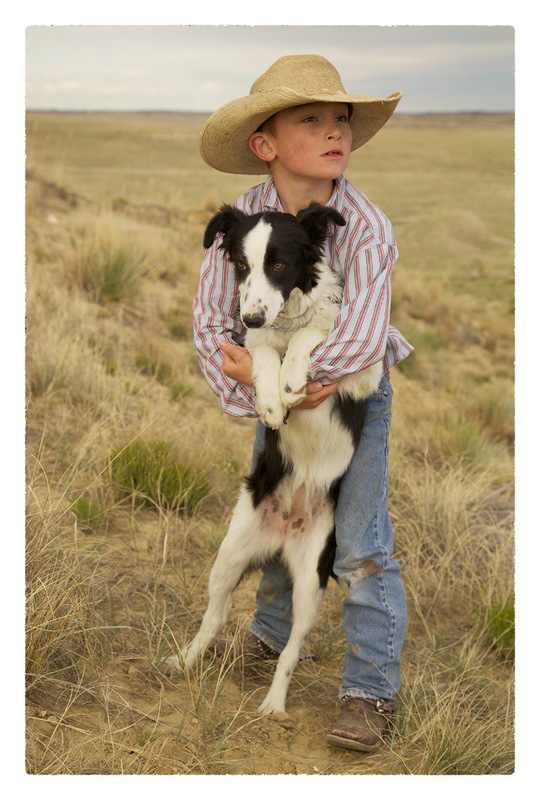 Leif and Claire: An unposed, genuine photograph of the past and future of the American West. For many who know my images, this is their favorite image, if even for nothing more than its ability to provide a brief glimpse into the heart of the High Plains. 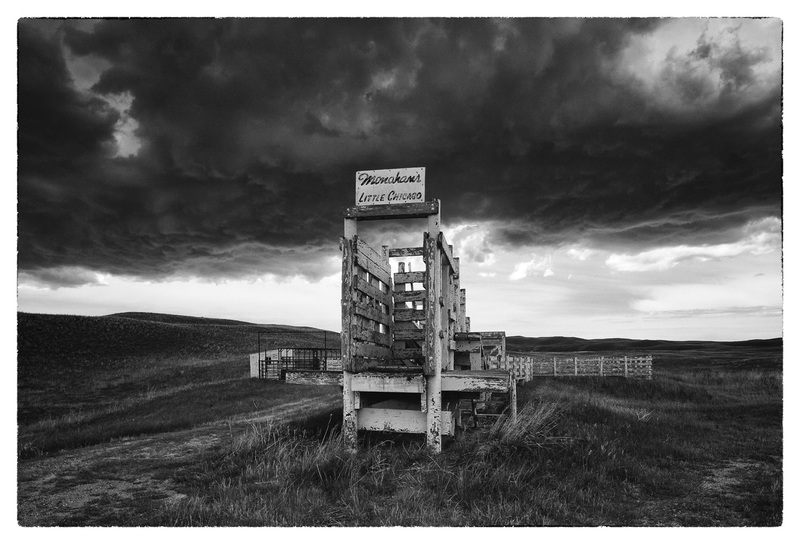 No, despite being in a show called “PlainSky, Nebraskans,” this photograph was not made in the state. It’s a sister shot to “Ardmore,” an image that illustrates the alarming rate of depopulation that persists in much of the Great Plains, and while “Ardmore” is from South Dakota and just north of the Nebraska border, “Jay Em No. 1” is from just west of the state line into Wyoming, but suffered the same plight as Ardmore. 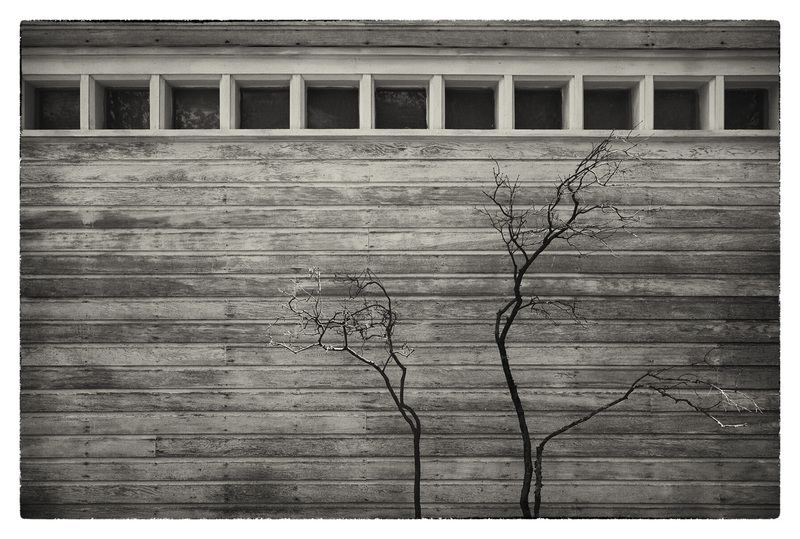 It is now a ghost town, and while wandering the silent streets I found this image to alluring to resist with the bones of the trees in their withered organic forms against their ancestors wrought into an industrialized form, then utilized as the walls of a building that no longer hosts any life. The trees grasp skyward, the formal elements in the background of the photo in stark contrast, and reflected in the windows to the left are leaves that seem to taunt the barren branches below with false promises of bounty. 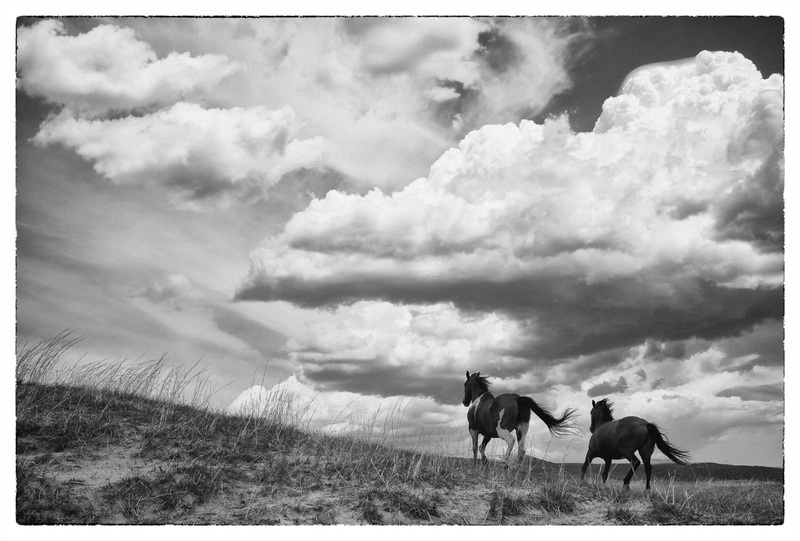 I couldn’t resist the chance of making a black and white image of dark horses against the light colored Sandhills and a growing thunderstorm in the sky, the horses’ tails perfectly matched as the plains wind played with them. 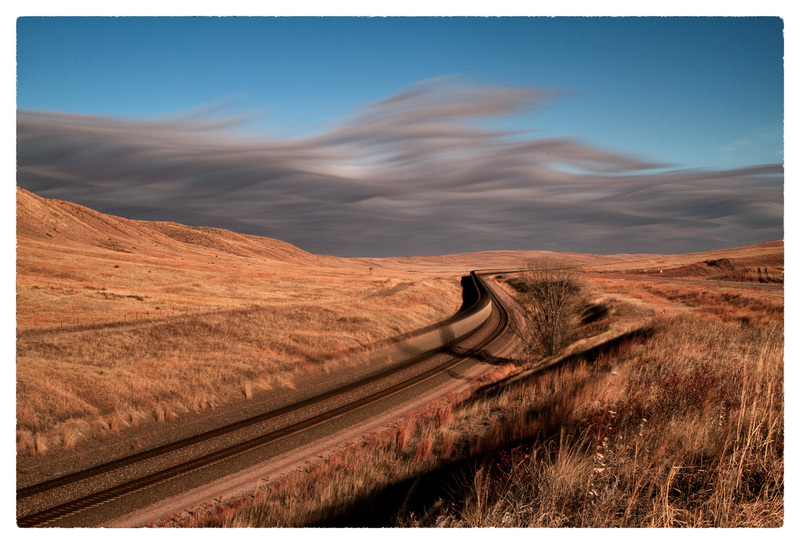 The showcase image for PlainSky, Nebraskans, “High Plains Train” could never be shot again, since in all my years, I’ve never seen a storm that looked the same over the winter Nebraska Sandhills. Occasionally, the natural world really is most incredible. 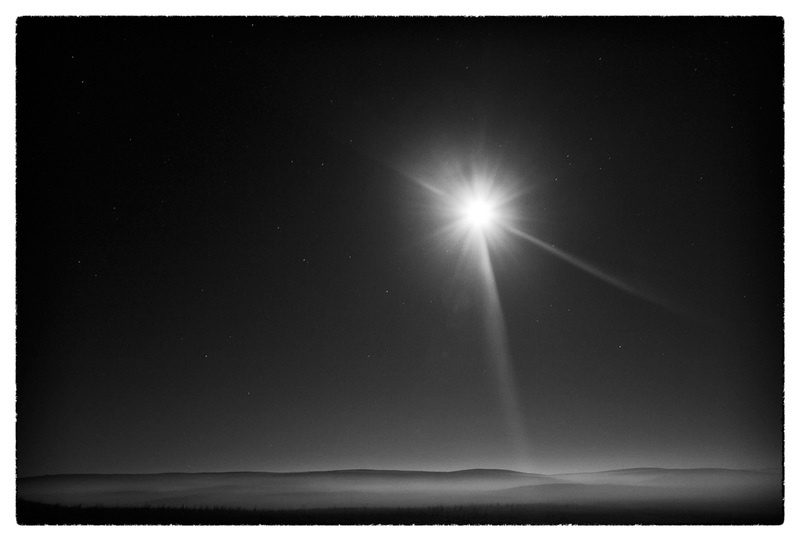 A 30-second exposure with a low full moon as fog begins to rise from the Nebraska Sandhills. January, 2013. I’m teaching Photography II this semester, and a central element in any art photography course is criticism. That doesn’t mean “criticize,” but rather “examine and discuss.” This image invites myriad possibilities for that end. 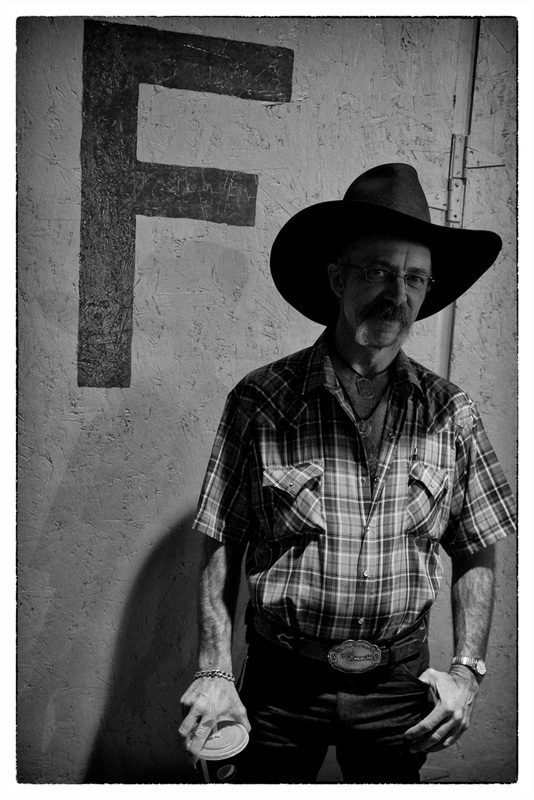 The cowboy stands by a large “F”. Meaning? What of his Pepsi cup with a straw? His jewelry? Belt buckle and plaid? What does his look tell us? Why did I chose the tonalities I did for the print? It is for these reasons I find this to be one of my favorite images in the PlainSky show; it’s a complicated portrait that involves a complex set of juxtapositions and ideas. Enjoy.